Bioware, a division of Electronic Arts, INC, has created a top notch, blockbuster experience with this gem. This game will stand the test of time as well as make everyone crave the end to the trilogy. 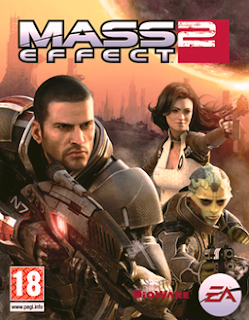 When the game was released, Mass Effect was in the top ten trending topics on Twitter as well as the most searched phrase on Google. Mass Effect 2 is just another masterpiece and proving that Bioware does what it does best. Creates a game with Story, Character development, visuals, and most of all, Gameplay. For all of you that have not read a review (like that is possible) then check out the extremely well done review by fellow Mashbutton writer Dom and get this game as soon as possible. Dominic gets PWN3D by 6 year olds in MW2. LOL LULZ ROTFL LMAO! I've been wanting this game for a while but rent and food have me placin on the back burner. Plus I usually have to wait for my Mexican connections to come through for $35 brand new! I'm a patient guy. Add me on Live Dice! Same as here, Rade6.